This is the spice mix I use in my tomato and cashew South African curry (recipe to follow soon!). I found this recipe online but I wanted a much more peppery version so I changed it quite radically to create this mix. The grains of paradise and voatsiperifery pepper can be replaced with black pepper if you don’t have them but they add a complex aromatic woody note that helps make the recipe distinctive and delicious! Combine all ingredients and grind to a powder. You can use a pestle and mortar, or a spice grinder. We have an electric spice grinder which is much easier than grinding manually and results in a fine even powder that’s easy to use. 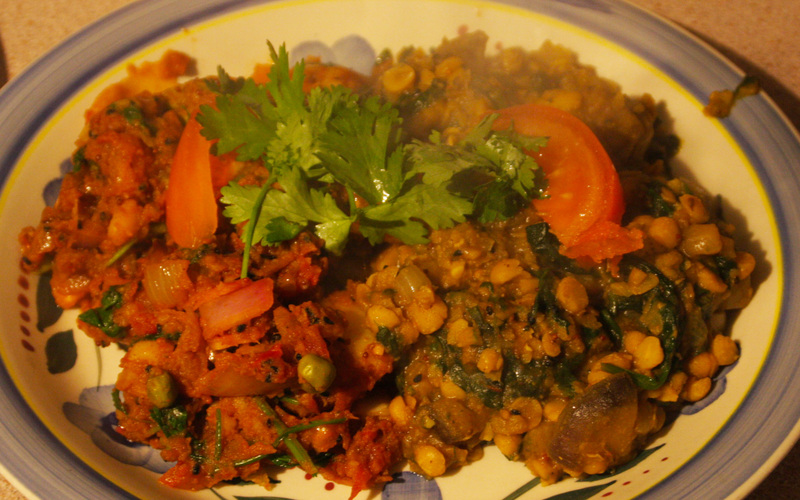 Vegetable Jalfrezi – served here with a second curry made of lentils and spinach with fenugreek. It didn’t seem to matter what I added to my curry, it never seemed to come out quite like the restaurants. So in desperation one day, I tried a new approach to really maximise the flavours, and it worked! Serves 4 if accompanied with rice and/or breads. The secret to making a good dal is to make a temper and the secret to a really good dal is to make a really good temper! Tempering a dal is the act of adding the cooked dal to a pan containing a mixture of fried vegetables and spices and heating it through before serving. This imbues the rich flavours into the dal in a way that can never be achieved though cooking the dal with the spices from the start. This recipe is really quick and simple to make and can be done with red lentils just as easily as with the moong dal used here. I can personally guarantee that it is exceedingly delicious! A cheezy sauce topping gives the finished bake a wonderful contrast between crispy and creamy. Tonight we wanted to make something lazy, but fancied something more than just a good tomato sauce on our pasta, so we added loads of roast vegetables, topped with a cheezy sauce, and baked in the oven. I loved this recipe, it was so yummy! 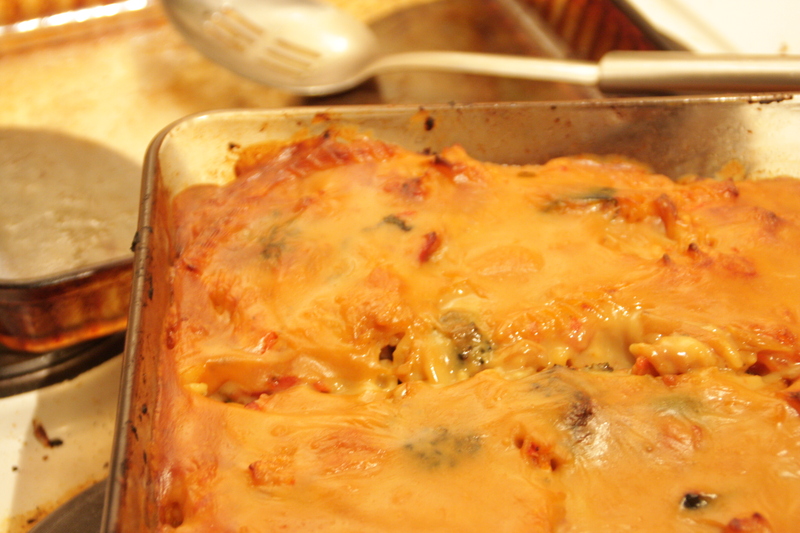 The cheezy sauce gave both brown crispiness and a moist creaminess. I would therefore recommend the sauce topping method (instead of grated cheese) to any non-vegan readers too! This recipe has a lot in common with our ultimate vegan lasagne, but is quite a lot less effort as you just stir everything together then top with cheezy sauce. 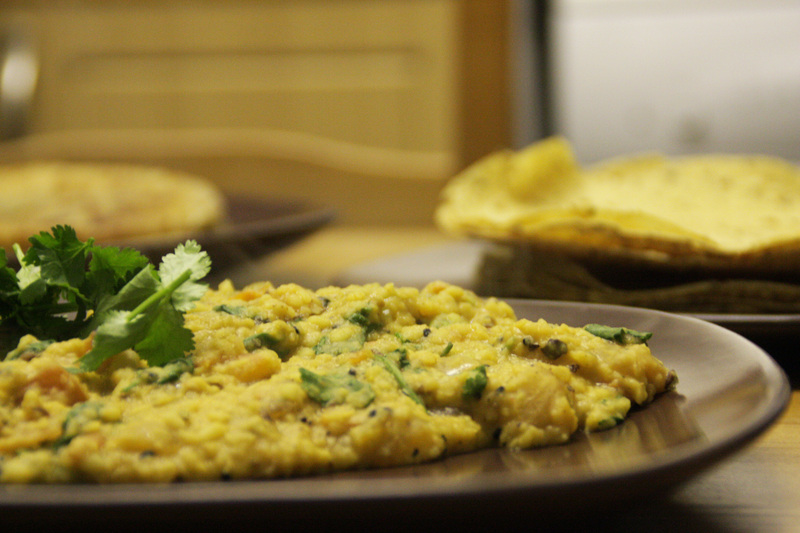 I created this recipe in an attempt to replicate the best meal I had in India (in the few days before I got ill). They were chilli parathas, circular fried flaky breads with fresh chilli slices all the way through them, and I had them for breakfast in Haridwar! 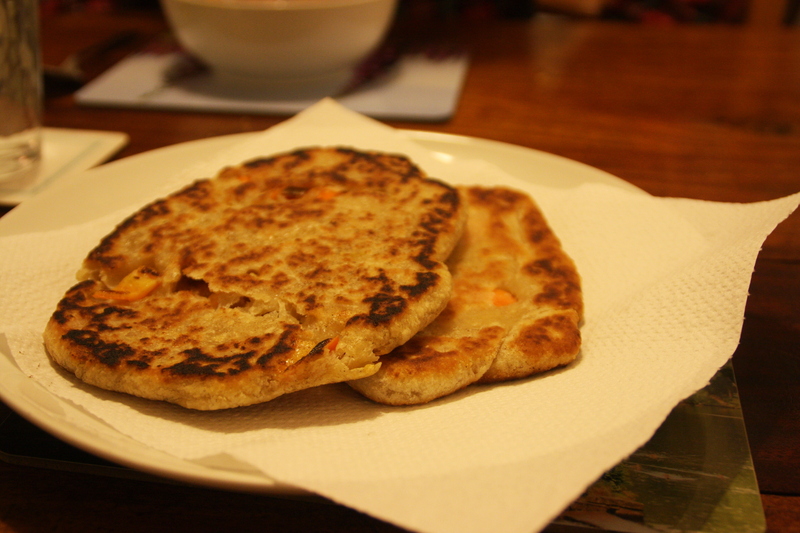 I couldn’t find any recipes online for what I’d experienced, so I adapted this plain paratha recipe to make it my own, and added fresh chillis of course. 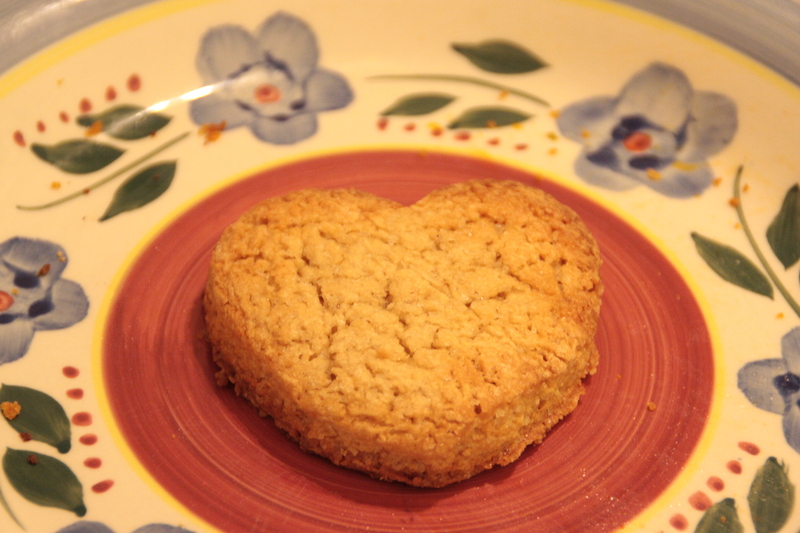 Tonight I set out to make a cookie that resembled marzipan, using only what I had in the cupboards (i.e. not marzipan)! The result is light, fluffy, soft and squishy, deliciously almondy and sweet. 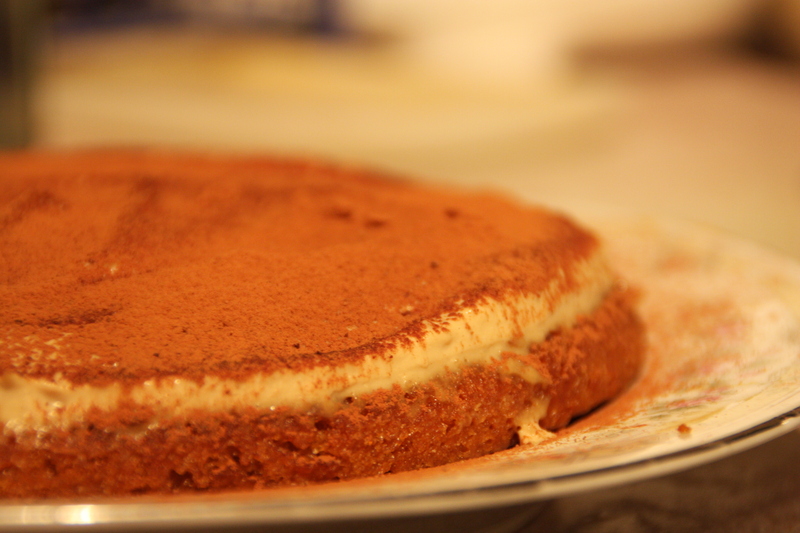 I made up this recipe last night, as I was in the mood for tiramisu but I didn’t have ladyfingers. 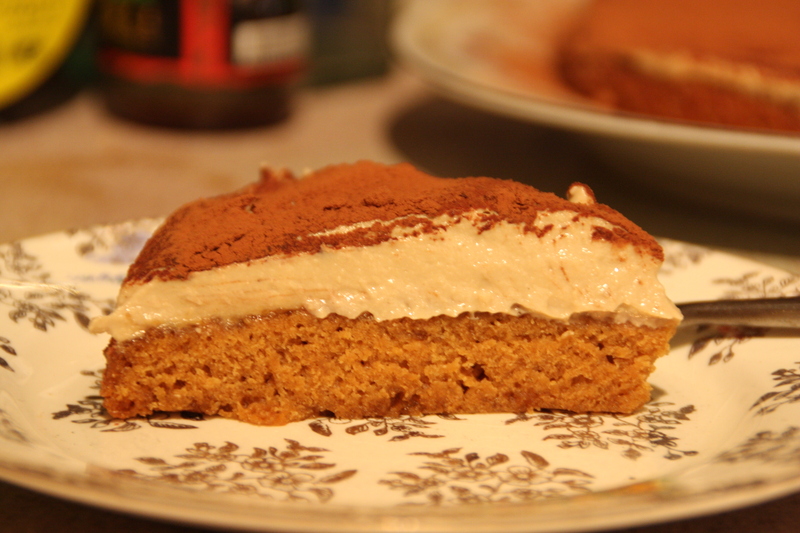 Instead, this recipe is a sticky coffee and syrup sponge cake layer topped with lush coffee and amaretto flavoured cream and dusted with cocoa powder. The most interesting element for me in making this recipe was my first experience of making coffee-flavoured tofu, an experiment which worked brilliantly! Despite being one layer, the cake looked fairly big, however we are about to polish it off just 24 hours after making it. You can get 8 reasonable slices or 6 generous ones out of it. For an even more impressive cake you could add additional layers of cake and cream filling. Sourdough starter made simple – 3 Key principles, and establishing your own starter!